Thank you Angie Tee for sharing this wonderful recipe with me. Love it very much :) Come to think of it...we have similar taste where food is concern :) This is her fifth of sixth recipe that I have tried out and each time , it turned out fabulous...never disappointing. "Thanks Angie Tee...I look forward to trying out all the recipes on your blog :) It is a pleasure reading your blog...so much to feast on "
Use 2 large pieces of parchment papers for each serving. Place the papers on a large bowl. Divide the pasta into equal portions (4 portions). Top the pasta with seafood, tomatoes, garlic, basil leaves, white wine, butter, and season with sea salt and black pepper. Wrap the paper up and tie it with kitchen strings. Place the bags on a baking tray and bake for about 20 minutes, or until the seafood are fully cooked. To serve, cut the kitchen strings, open the paper bag, drizzle some olive oil and garnish the seafood pasta with parsley and lemon wedges. Serve immediately. there are a lof of seafoods in this pasta, sound so good and delicious ! Hi Elin, I'm so hungry. While you are celebrating there with this dish, I'm salivating here and drowning in ti. I'm Reinnie from Penang. This is the first time, I'm checking out your blog and your pasta dish got me captivated with its colours and amount of seafood in it. I'm sure anyone else would be salivating along with me too. 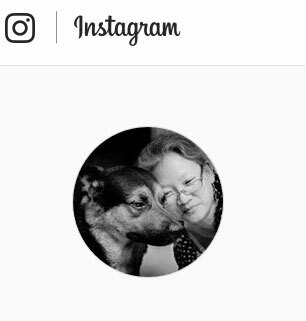 I'll definitely look out for more of your post. Keep it up ya! Wow! Well done! Looks really good! I've had a dish like that before in an Italian restaurant we went to for hubbs birthday few years ago. Had forgotten about it! that's great. Love the presentation for a dinner party. Oh and I believe you about the flavors and aromas, that sounds like a real winner! Elin, your piggies are so lucky to have you! 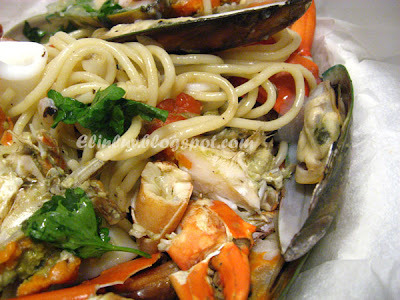 The seafood pasta looks so delicious! 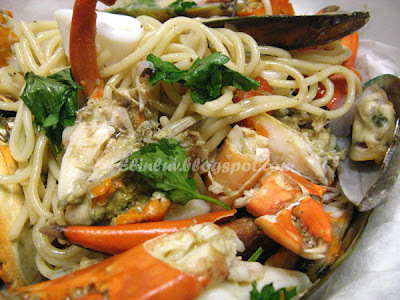 wow..looks like the seafood overpower the pasta!! can see the wetness.. must be the "chap" from the seafood... yummmy!! Those seafood are tempting me! Oh, the crab! Looks yummy... will try this for sure. Another to-die-for dish! Stop! Stop! You are killing me, Elin... Can see, cannot eat! Sobs!!! 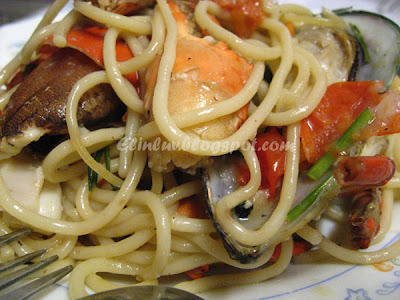 The pasta definitely very tasty due to the juicy gravy from the seafood itself. Yumm.... Have a great weekend. Oh, guess you're busy baking something for the birthday girl! haha... Have fun! 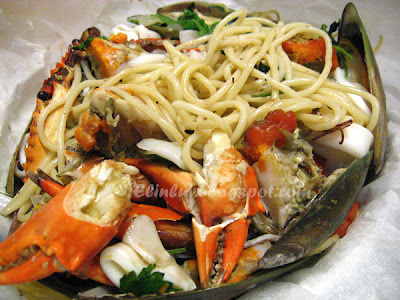 I just savored my mum's chili crab for my lunch today, otherwise, I'm going to drool over your Fruits de la mer Pasta In Papilotte for the next couple of hours. It looks really really good! Friend, I'm salivating now! No wonder, it's near lunch time. I just make do with fish porridge today. Angie Tee...yessss...this is the best pasta I have made for my family :) Thanks !